Everyone at the National Hockey League and the National Hockey League Players’ Association is profoundly saddened by the loss, within a matter of a few weeks, of three young men, each of whom was in the prime of his life. ""Everyone at the National Hockey League and the National Hockey League Players’ Association is profoundly saddened by the loss, within a matter of a few weeks, of three young men, each of whom was in the prime of his life. ""While the circumstances of each case are unique, these tragic events cannot be ignored. We are committed to examining, in detail, the factors that may have contributed to these events, and to determining whether concrete steps can be taken to enhance player welfare and minimize the likelihood of such events taking place. Our organizations are committed to a thorough evaluation of our existing assistance programs and practices and will make immediate modifications and improvements to the extent they are deemed warranted. 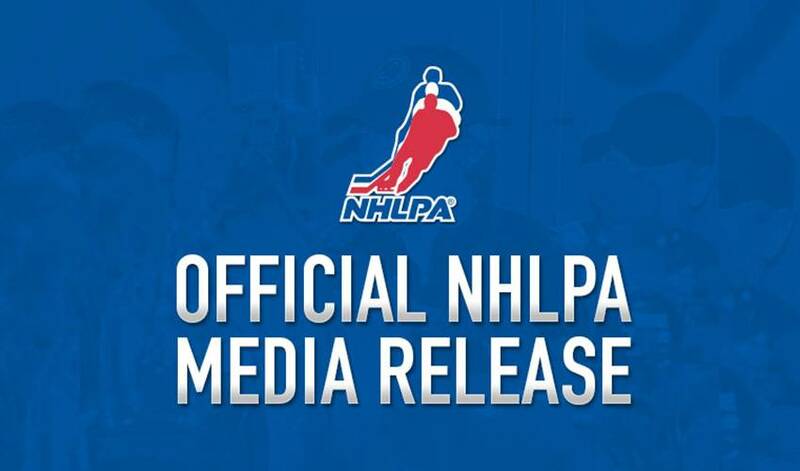 ""It is important to ensure that every reasonable step and precaution is taken to make NHL players, and all members of the NHL family, aware of the vast resources available to them when they are in need of assistance. We want individuals to feel comfortable seeking help when they need help. ""NHL Clubs and our fans should know that every avenue will be explored and every option pursued in the furtherance of this objective."" This month, the seven Canadian NHL clubs and their players are bringing a difficult topic to the forefront of the hockey season: mental health and wellness awareness and education. The National Hockey League Players’ Association Goals & Dreams fund and NHLPA member Kevin Bieksa held the 5th NHLPA Goals & Dreams Cup on Thursday, as a way to honour Rick Rypien. Executive Director Don Fehr issued the following statement on the passing of Wade Belak. Executive Director Don Fehr issued the following statement on the passing of Rick Rypien.